Everyone has a story to tell. It’s not always a story in need of an audience, like Harry Potter or a Song of Ice and Fire. Sometimes a story just needs to be told. Your story. You may want to continue the journal you started when you were just a kid, or keep a weekly account of your travels around the world. Maybe it’s thoughts, not events that need writing down. We won’t guess to the particulars of your story, but let me ask: how do you plan on penning it down? An old-fashioned notebook works wonders, of course. I love me one of those leather-cover pockets. Ultimately, however, I’m mostly partial to a digital journal. Aaron Couch covered seven ways to keep a digital journal earlier this year. Day One is a good alternative for Mac OS X and iOS users, a great application aching to serve as your digital scribe, across platforms. Day One is a journal or digital diary application that works across devices. You’ll find it on your Mac OS X computer, or on iOS; a universal application for the iPhone and iPad. Day One keeps a uniform design across these platforms and makes you feel at home regardless of where you’re jotting down your notes. Alas, you won’t find a Windows or Android client. Instead there’s an alternative diary for Android called Memoires Memoires: The Diary That Helps You Jot Down Your Memories on the Go [Android 1.6+] Memoires: The Diary That Helps You Jot Down Your Memories on the Go [Android 1.6+] One of the surest ways to combat writer’s block is to keep something handy when a sudden inspiration strikes you. Earlier it used to be a scrap of paper in the wallet, but lately it... Read More which Saikat reviewed, last year. Day One’s Mac OS X version retails at $9.99 in the Mac App Store, for Mac OS X 10.7 Lion and upwards. On the other hand, Day One for iOS has a price tag of $4.99 in the iTunes App Store. If you do purchase both, Day One will keep your data in sync across devices using Dropbox or iCloud magic. However, each client is standalone and can be used as your primary (even only) Day One client. One of the things that swayed my favor to Day One is its look and feel. There aren’t a lot of beautiful diary applications, another exception being Nancy Messieh’s suggestion Everyday.me Turn Your iPhone Into A Journaling Tool With Everyday.me Turn Your iPhone Into A Journaling Tool With Everyday.me If you're anything like me, your iPhone never leaves your side. A great app that will come in handy on a daily basis is Everyday.me, which makes it easy to keep a daily journal while... Read More for the iPhone. Rather than trying to mimic a ‘real’ journal, with post-its and fake coffee blots (putting the ‘ew’ back in GUI), Day One looks simple and stylish. Simple lines and simple fonts, yet great typography make Day One a pleasure on the eye. The design is slightly different across different platforms, but a theme clearly emerges. Day One may look simple, but that just serves to make it pretty, not limited. You can add rich content to your journals; break up the text with pictures and more advanced markdown. There’s even an option to insert the current weather conditions from your iOS device, if you want. In the Mac version, Day One displays a big date in the header. Any new entry you create on an empty day will include this elegant typographic contraption, giving every day the look of a new chapter in a book. A new entry on the same day will just be added below the first, with a new timestamp, as shown in the screenshot above. This makes Day One suited for most common diary types, from the short blurbs illustrated with a picture from your cellphone, painting a timeline of your day one frame at a time; or the long format plain-text journals that read more like a book than anything else. If you automatically reach for your journal in a quiet moment, I’m very happy for you. But a lot of us need some encouragement to keep going. It’s a little too easy to postpone adding an entry, and memory fails the best of us when enough time passes. For the forgetful and the procrastinators in the audience, Day One offers reminders, both on Mac OS X and iOS. On iOS, you can choose between daily, weekly or monthly reminders. The Mac OS X version gives you a little more flexibility, allowing you to pick anything between 15 minutes and one week. In any case, you can choose the time you’d prefer to be reminded. Maybe at morning, over morning coffee, or during your break at work. On Mac OS X, the Day One menu bar app provides an easy way to add a quick text-only entry. Although you can use the menu bar input method at any given time, it’s especially useful if the reminders guilt you into writing a small blurb. Not only is it important for a diary-keeping application to be pleasant as a writing tool. Revisiting those stories and memories should be easy and fun as well. Luckily, Day One succeeds here, offering multiple ways to peruse your own writings. The calendar view is best to get an overview. It’s a simple idea—a calendar setting apart days with entries—but it works well. The calendar lets you pick out a single day of entries; good if you’re looking for something specific. Pressing the timeline icon (the three horizontal lines) gives you a more conventional diary layout. Entry excerpts from different days follow one another in a continuously scrolling view, per year. If that doesn’t fit your bill, you can still use One Day’s search functionality, singling out entries with specific keywords. Either of the Day One clients — iOS or Mac OS X — can be used as a great standalone diary application, easily trumping bloated competitors. If you’re willing to pay twice, the applications will work in tandem, synchronising across Dropbox or iCloud. Either way, the stylish and clean interface just makes you want to keep writing. And if you forget, Day One has you covered. Do you keep a journal? Let us know how you keep track of your personal story in the comments section below! 1) Can you cut and paste Microsoft Word text in and out of this diary? i.e. Can I take a week's worth of diary notes and paste them into one long Word document? 2) Is there any kind of filter so you can isolate e.g. 'Personal reflections' and 'Business notes'? Yes! I've been using Day One for a while now, and have even been working on migrating all my other journal entries from the past 14 years into the application. (Certainly a heavy-duty task...) I love it so much. I do most of my actual journaling on my laptop, but do a lot of reading and browsing on my iPad, and occasionally on the iPhone. One of the things I really love about Day One is the export functionality. It's great for peace of mind, especially if you're like me and are moving 14 years of writing into one spot. The application can make a very nice PDF version that's good for reading, and it also exports well into a plain text file. I only use it for text entries. I tried putting pictures in it every so often in the beginning, but in keeping with the journaling I've been doing for years and years, I decided to just stick to plain text. And it works so well for that! Hi, I’m Rafael, one of the owners of Juicy Cocktail. We make a journaling app for OS X that offers better media integration than Day One for about the same price. Memories (http://shurl.at/as) has an easy to use interface while you can add images & other media to your entries in Memories. With Day One you are limited to text (and only one picture that is placed outside your entry), but it’s sometimes really nice to add a picture of your or a place you recently visited. Furthermore we offer true encryption. Day One is password protected, but it is very easy to see the plain text of your entries when you go to the folder in the Finder where your journal is stored. Memories uses AES encryption and your entries are really unreadable for prying eyes. I can’t say it often enough how important it is to keep your very personal entries protected. I think that our export and import functionality is also superior. You can export and import entries in over five formats and choose between exporting a single entry or the whole diary. Let me know if you have further questions about Memories or writing a journal on your Mac in general. Memories looks very promising. Thanks for sharing! You’re welcome, Simon. We definitely try to scratch a different itch. Our biggest shortcoming is that we still lack a mobile app, but the OS X version has a much richer experience. We focus more on media integration, preservation, and—as I already said—encryption. It would be great if you could take a quick look at our app. You’re probably very busy and I can understand if you don’t have the time for it. Otherwise you can always contact me directly via email. Memories is $14 and has no mobile version (still) nor does it look like one is planned. Day One is $1 more for all three integrated Mac/iPad/iPhone apps, and they're apparently adding encryption. Memories has not been updated in year and the site's last blog entry was July 2012. Day One was updated last Tuesday, their blog is current and extensive. Memories does allow video and sound in entries but you have to add them on the Mac, the lack of iPhone app is the big downer. I have used Evernote, MacJournal and some other but are back on physical notebooks of paper. Have noticed I write and sketch more in them. I get where you're coming from. 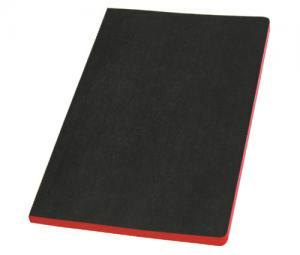 Personally, I love Moleskine-type notebooks. Which was your favorite application to keep a journal? MacJournal was my favorite. I do not know if it was because I used it longer than the other and got used to it or if I used it longer because it suits me. I had it both as a personal journal and some "books" for writing blog posts. I was also found of Thoughts even if it was a bit buggy. Do still use Evernote but mostly for web clip, a sort of scrapbooking.